Boy's Academy - deepstreamguatemalas jimdo page! 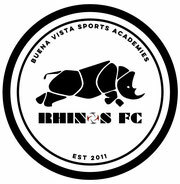 The Buena Vista Sports Academy is committed to breaking generational strongholds of spiritual lostness, abuse, and addiction. Our aim is to do so by focusing on evangelism and discipleship to the future leaders of any given community. Our prayer is that the boys that graduate from a BVSA Academy will take the hope of Jesus to their neighborhoods, and win their entire communities to Christ. Click the image below to visit the BVSA website at www.bvboys.com!